Ministers should abandon a growing tendency to indulge in anti-business rhetoric or risk damaging Britain's economic recovery, the head of the state-controlled Royal Bank of Scotland (LSE: RBS.L - news) (RBS) has warned. In an interview with Sky News, Sir Philip Hampton said that leading politicians could undermine inward investment in the UK if they continued to demonise business. He said: "I think we've got to watch it. I think some of the sentiment from Government ministers and [other] politicians recently won't necessarily help confidence in business morale and inward investment. "We need to recognise that businesses have got to succeed and that when they do so people can get very well paid. "But overall I think Britain is still a great place to invest, to work and to live. I'd like some of those messages to be more prominent from our political leaders from time to time." The comments from the chairman of a company which is 82% owned by the British taxpayer are remarkably frank - but they reflect a growing sense of unease within the business community following the furore over the pay of Stephen Hester, RBS's chief executive, and the decision to strip his predecessor, Fred Goodwin, of his knighthood. Sir Philip's remarks come at the end of a torrid week for RBS, which is braced for further political anger later this month when the bank reports its financial results for 2011. "We will have some people on very substantial packages but we will have far fewer than in recent years paid at the very highest levels. I would say some of this concentration on bonuses is overblown. Our wage bill for the bank is £8bn-9bn, so actually although bonuses get all the headlines they are a very small part of the total wage bill," he told Sky News. Nonetheless, Sir Philip acknowledged that RBS would have to alter the way it paid its top executives if it is to avoid a similar row erupting in 12 months' time. "It's a difficult issue, clearly - we've had a clear demonstration of the hostile public mood in the last week," he said. "We could have got elements of our communications better. Having said that we are a commercial organisation and we have to pay rates of pay to our top people for this hugely challenging task that are reasonably consistent with the rest of the market otherwise I don't think we would be able to retain and incentivise the people we need to turn this bank around." The RBS chairman, who was parachuted into the role alongside Hester in the autumn of 2008 when the bank was bailed out with a £45bn injection of taxpayers' money, rejected suggestions that pay at the bank was now being set by ministers rather than the RBS board. "I made the recommendation about the remuneration of Stephen Hester, which was accepted and discussed by the board. We do consult with shareholders including the Government, both as a shareholder and on the political aspects of the decision. "We haven't received any direction from government at all. We received their input which we try to take into account when we can." Sir Philip denied that Hester had been on the verge of resigning over the decision to relinquish his bonus of 3.6m shares - worth just under £1m at the current share price - but admitted that the RBS board had drawn up plans for his departure. "All boards of directors have contingency plans for chief executives being ill or leaving for other reasons. "If you look around the world and try to find candidates to run one of the largest banks in the world in this exceptionally challenging environment, it is no surprise that that's a very small list indeed of people who are ready, willing and able to do this sort of job." 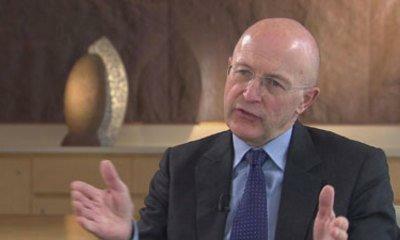 He also defended the pay policy of RBS, saying it had been a pioneer in reforming the way bankers are remunerated. "We have led the way in British banking terms in getting our pay structures more appropriately based - bonuses are all in shares, deferred and subject to claw back. We have ticked every corporate governance box, but we clearly are not carrying all our stakeholders along in the decision-making we are doing. "It's very important that this bank does have the right people running it. We are hugely important to the British economy and the bank is two-thirds of the size of the economy on its own. We've got to get this right and we'll only get it right with the right people." Referring to the crackdown by ministers on boardroom pay across British business, Sir Philip also told Sky News that he agreed with proposals outlined last month by Vince Cable, the Business Secretary. "I think out-of-hand is too strong [a description for remuneration practices] but the culture of pay is certainly not where it should be. There is a concern that pay is too high, particularly when performance is weak," he said. "The banking sector is at the epicentre of that. Returns to bank shareholder have been pretty mediocre to disastrous and yet banker pay has become massive, so there isn't a linkage. That is changing."